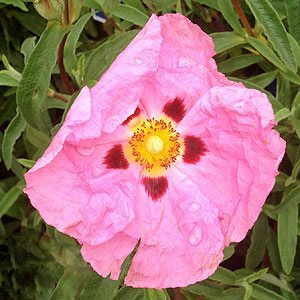 Cistus or ‘Rock Rose’ are a very hardy drought tolerant evergreen perennial. Also known as ‘Rock Rose’, Cistus do well is harsh conditions. Long flowering and reasonably drought tolerant once established. Wholesaler growers offer a number of varieties with differing flower colours and growth habits. Depending on variety, Cistus will reach around 1.5m in height and are generally an open growing, sprawling plant. Maintenance required is minimal, however for the best growth habit regular pruning after flowering is recommended. Originally from the Mediterranean Cistus grow well in Australian conditions, especially southern Australia. A number of varieties are available from wholesale growers, usually in 15cm pots, sometimes in advanced sizes.